Here we come with another epic from India’s loving Author Amish Tripathi. His skilled fingers have shown magic once again with, “Sita – Warrior of Mithila“, which set its feet on May 29th, 2017. The most awaited book since the day it was announced smacked into the world of readers in a full bloom. 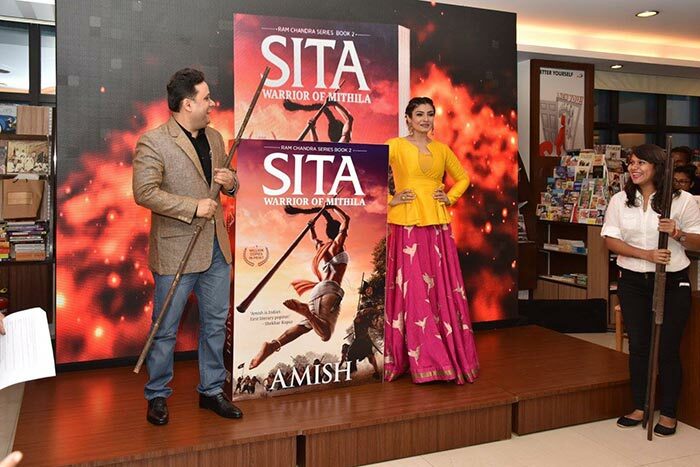 Though it is the second book of “Ram Chandra” series, it arises with a unique, vigorous, fervent and dynamic character of “Goddess SITA”. The title describes itself, “Sita” as the warrior. The story emanates with an orphan child adopted by “Raja Janaka” to how she turns out to be an intensely passionate, an impenetrable princess. Since ages, we Indians reckon and worship Sita as an intelligible, sterling, ethical goddess. Moreover, the pious wife of Shri Ram Chandra. Here it brings a complete swap with a remarkable variation. Not concluding the first book of the series “The Scion of Ikshvaku“, but it begins with a springing up of a strong woman. The pages surely hold the grip. The last Trilogy of Shiva by author Amish, namely “The Immortals of Meluha“, “The Secret of the Nagas“, and “The Oath of Vayuputras“, gained the turnover of around million dollars. The last one titled as the fastest selling book of 2015. His magic is once again sprinting over the million hearts. The well-controlled story with streaming, mesmerizing words will keep you engaged until the end. Garb it doubtlessly to add an epic to your collection. ⟵हिंदी or English: The dilemma of माध्यम!